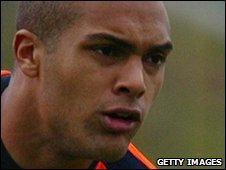 Queens Park Rangers have completed the signing of goalkeeper Carl Ikeme on a 28-day loan from Wolves. It is the 23-year-old shot-stopper's third loan move of the season, having already enjoyed spells with Charlton Athletic and Sheffield United. Ikeme made five appearances for the Addicks and two for the Blades. Wolves have included a 24-hour recall clause in the deal in the event of injury to first-choice keepers Marcus Hahnemann and Wayne Hennessey.